Attract the World’s Students to Your Campus. More than three-fourths of institutions are worried about hitting international student enrollment targets. * Is yours among them? International students play a critical role in your overall enrollment strategy. But attracting international students isn’t always so easy, especially in today’s challenging climate. 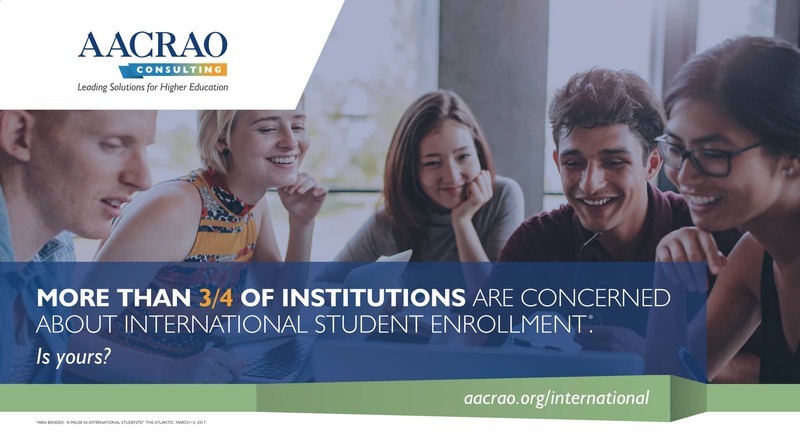 Contact AACRAO Consulting today to start improving the way you reach, attract, and retain international students at your institution. *Aria Bendex. “A Pause in International Students?” The Atlantic. March 13, 2017. Download our International Enrollment and Services Review PDF.